Amphibole Quartz (aka Angel Phantom Quartz) helps to create balance in our lives, as well as to contact our Spirit Guides, Angels, and as I found, Ancestors. It is also helpful for astral travel, lucid dreaming, and for communication with our Higher Self. Really nice polish and unique patterns on these. These are huge and jumbo sized measuring 1.5" to 2". Provides introspection and insight when placed on third eye as a connection to the wisdom of the universal mind. Aids in our connection with the Divine and messages available for us by connecting to our Spiritual realms. Helps you to reach the higher realms in meditation and to find a deep sense of inner peace and tranquility. Amphibole Quartz is in the Trigonal Crystal System in the mineral class of Silicates. Its composition is SiO2 - Silicon Dioxide with a variety of mineral inclusions. These beautiful pieces are found in Brazil with coloring that is clear to white with many inclusions. I can get lost gazing into them seeing many different things at each look I take. Amphibole Quartz is generally known in the market place as Angel Phantom Quartz. The name came about because many thought the inner “phantom” appears to resemble the wispy wings of an angel. A Phantom is a crystal or mineral deposit within a crystal. This type of phantom is formed when the growth of the crystal has been interrupted, a mineral deposit gets added, and then the original crystal begins to grow again. Some may contain inclusions of Hematite with varying colors ranging from a deep red, to pink, orangey pink and orange. Ones with Hematite inclusions help us to obtain clarity, peacefulness and a sense of deep grounding. This explained to me what I felt on picking one up my first time, I definitely felt a buzz in my Crown and Root Chakras simultaneously creating that warm 'n fuzzy feeling. I have found meditating while holding a piece of Amphibole Quartz to provide a very calm, soothing energy that was nurturing and brought feelings of joy and peace. Wearing one throughout the day seemed to buffer and block any negativity around me allowing me to just flow through any challenges with ease. It also seemed to change the vibrations of those around me shifting most negative into more positive vibes. I've not had a personal crystal I was wearing do this before and have to say, I found that a most pleasant 'side effect'. Amphibole Quartz helps to create balance in our lives, as well as to contact our Spirit Guides, Angels, and as I found, Ancestors. It is also helpful for astral travel, lucid dreaming, and for communication with our Higher Self. Amphibole Quartz aids us in gaining emotional clarity and balance and acts as a shield from verbal abuse. 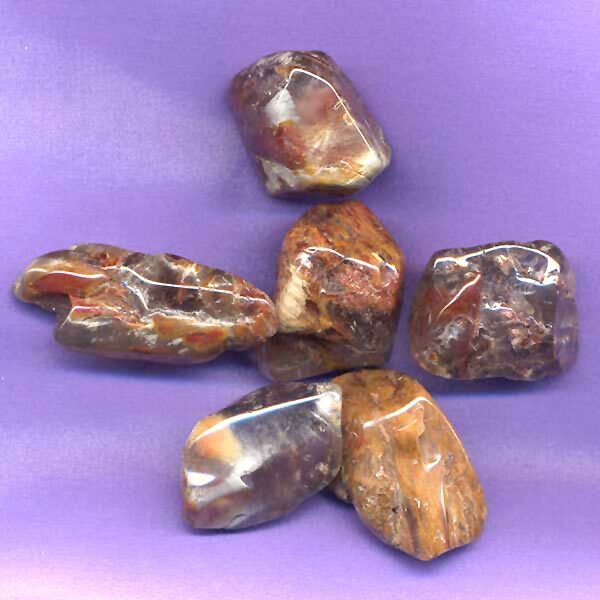 Amphibole Quartz provide flexibilty in our thoughts allowing us to easily determine the next steps required. If we become distracted, it greatly aids in returning our focus towards the more spiritual aspects of our life and staying in a peaceful state of mind. Amphibole Quartz can help with problems of the eyes, digestion, fevers, pain and, depending on the inclusions, lowering bad cholesterol. Amphibole Quartz crystals have special affinities with the sign of Capricorn, but benefits all signs. It has a Receptive Energy, its Planet is the Moon and its Element is Air. 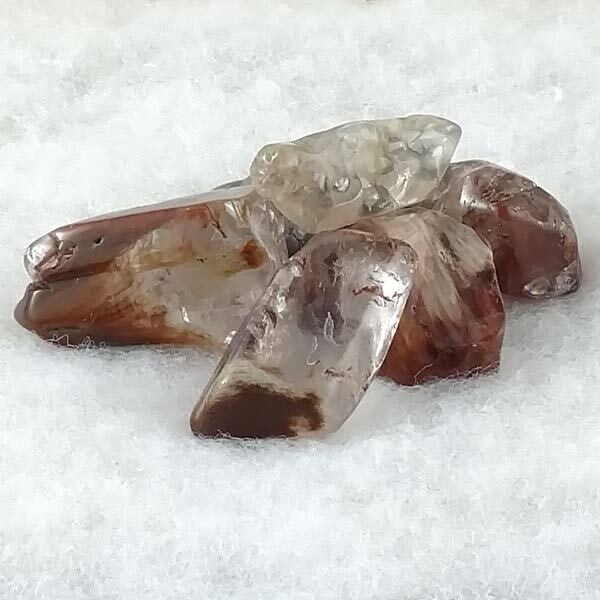 Amphibole Quartz is said to be excellent for attracting and working with Angels and Spirit Guides as it seems to easily open the connection for communicating with the higher vibrational realms.